Question : How to get cheap flights from SFO to JFK? Question : What airlines fly from SFO to EVN? Question : How long is the flight from SFO-EVN? Answer : The flight from SFO to EVN is 4 hours 40 minutes non-stop, during that time you will fly about 7,730 miles. Question : How many flights are flown between SFO and EVN? Answer : There are 5 airline companies that fly from SFO to EVN, with approximately 40 flights per month. That averages about 10 flights per week. Question : How many miles from San Francisco to Yerevan? Answer : The distance between SFO and EVN airports is about 7,730 miles. Question : What is the earliest and latest flight of the day from SFO to EVN? Answer : The earliest flight leaves SFO at 02:40 pm and arrives at EVN at 7:55 pm. The last flight of the day departs SFO at 4:15 pm and arrives at EVN at 9:35 pm. Save on your next flight from SFO to EVN when you book through Travelocity. 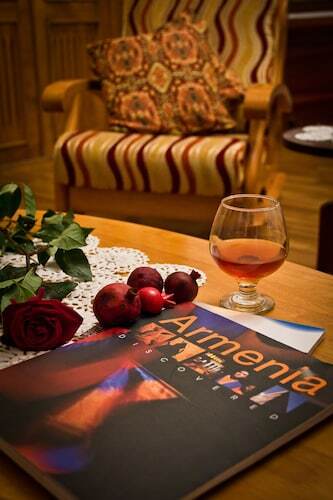 Need a last-minute flight to Yerevan? Travelocity offers discount airfare no matter when you book, even on popular routes such as San Francisco Intl. Airport to Zvartnots Intl. Airport. Whether you need a direct or indirect flight, you can trust Travelocity to provide you with the best prices for SFO to EVN flights. Top Flights from San Francisco Intl. Top Flights to San Francisco Intl. Travelocity offers amazing deals on flights around the world. Find Cheap Tickets to Boston and feel confident that your online booking experience will be fast and easy. With tens of thousands of hotels to choose from including Corpus Christi Hotels you will always find the best place to stay on Expedia. Find the best Barcelona Vacations today. Get a flight, hotel and rental car at the best online rates. Flight path for flights from San Francisco International Airport to Zvartnots International Airport. Below are the most flown air carriers at San Francisco (SFO) airport. Click to see their most popular routes and look for airfare. Explore Yerevan with Travelocity's Travel Guides to find the best flights, cars, vacation packages and more! 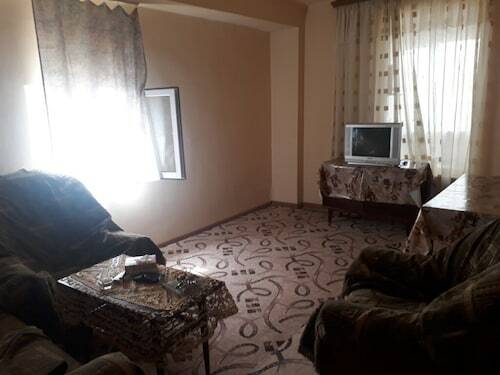 Situated in Yerevan, this bed & breakfast is 2.9 mi (4.6 km) from Yerablur and within 6 mi (10 km) of Hrazdan Stadium and Ararat Museum. Blue Mosque and Museum History Yerevan are also within 6 mi (10 km). 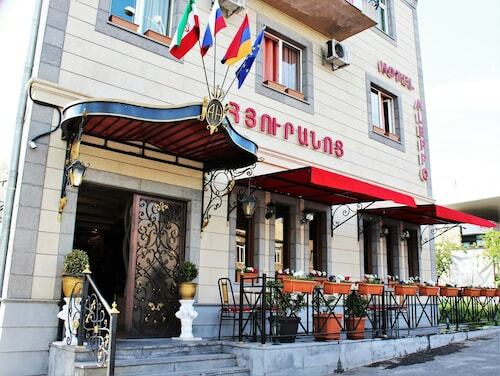 Situated in Yerevan, this hotel is 0.3 mi (0.4 km) from Yerablur and within 6 mi (10 km) of Ararat Museum and Hrazdan Stadium. Blue Mosque and Museum History Yerevan are also within 6 mi (10 km). Situated in Yerevan, this apartment building is 1.4 mi (2.2 km) from Yerablur and 3.1 mi (5 km) from Demirchyan Arena, Sports & Music Complex. Dalma Garden Mall and Hrazdan Stadium are also within 6 mi (10 km). Situated in Yerevan, this guesthouse is within 3 mi (5 km) of Demirchyan Arena, Sports & Music Complex, Dalma Garden Mall, and Yerablur. Tsitsernakaberd and Ararat Museum are also within 3 mi (5 km). 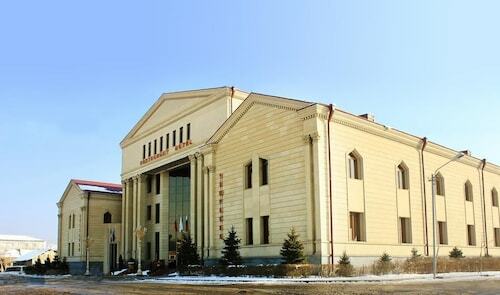 See all 274 Properties in Zvartnots Intl.